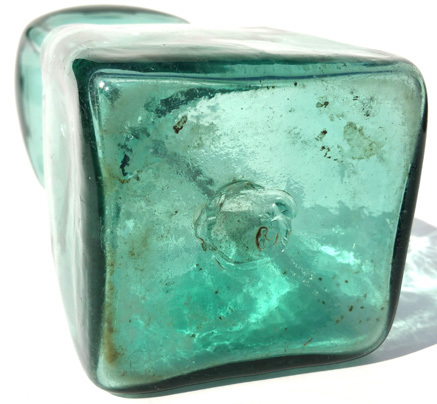 An unusual pinch waisted gin bottle, aqua in colour, with the "half post" method utilised in the manufacturing process, in which a double layer of glass is applied up to the shoulder, showing a distinctive ring where the second coating of glass finishes. This process of "double dipping" has been in existence for centuries, with origins in Germany. 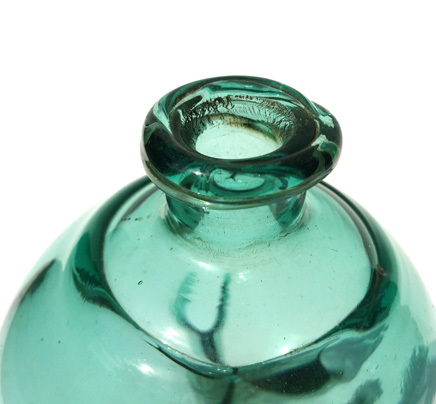 Note the open pontil on the base of the bottle, in the picture below.